Homeopathic ‘Eupatorium perfoliatum,’ is still being distributed successfully throughout parts of India plagued by a dengue epidemic. 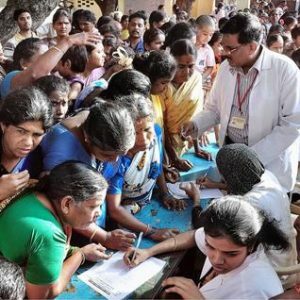 The Government Homoeopathic Medical College and Hospital at Tirumangalam has just organised its 31st camp to distribute the remedy. During last Saturday the pills were given to over 8,000 people at the camp and many more were waiting to get the medicine. “We are witnessing a huge response everywhere owing to increased awareness among the public. There is an adequate stock of medicine and more orders will be placed to meet the demand,” said Gopalakrishnan, Principal in-charge of Government Homoeopathic Medical College and Hospital. He said that homeopathy medicine for dengue control was becoming popular and that local bodies were coming forward to sponsor the camps. India is not alone in using homeopathy to treat and prevent its dengue epidemics. Cuba and Sri Lanka have done similarly. Its current use in India demonstrates three big advantages of homeopathy for epidemcis – (1) the remedies can be rapidly manufactured to meet demand, (2) they are inexpensive – even the poorest can be assisted, and distribution is easy – (3) there is no need for highly trained health professionals, cold storage, needles, syringes or complex packaging.